The album that will melt your brain, get the babes, and rule the world! Every song has its own little kick to it that will make you want to bounce off the walls! Rock On! Have you ever looked directly at the eclipse? Of course you haven't! But this Rock n Roll is the same sensation! So why not give it a try? 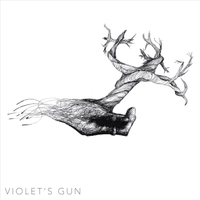 The devil is waiting for the day for Violet's Gun to release new music, so you know it's good! Violet's Gun is the name, and we play the game!